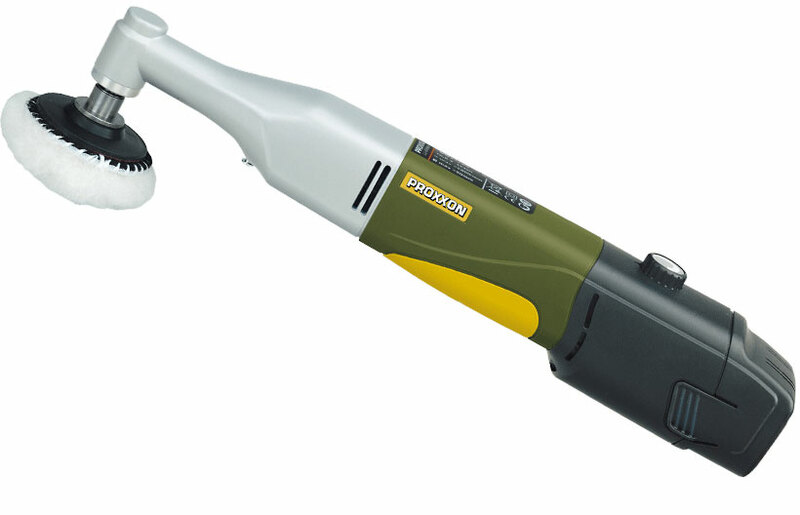 New battery-powered tools made in Europe. For professional use. Slim, powerful tools to get your hands on! The mobile version of our already proven corded tool for more flexibility when polishing or cleaning, in rust removal and adding the "finishing touches" after varnishing. With continuously variable electronic speed control for constant speeds even under high grinding pressure. Set includes lithium-ion battery Li/A (10.8V) and rapid battery charger LG/A as well as plenty of accessories such as: rubber backing disc with hook and loop fastening, polishing sponge (medium hard), lambswool polishing disc, polishing felt (medium hard) for metal and non-ferrous metal, 12 sanding discs (grit 2000) and NIGRIN polishing emulsion (75ml) as well as a microfibre cloth. 10.8V DC. Spindle speeds 1,100 - 2,600rpm. Length 305mm. Weight 950g (including battery). 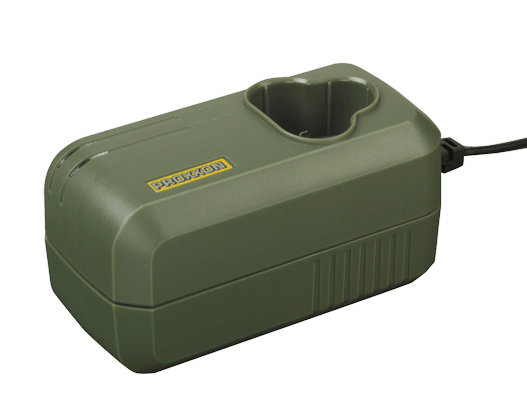 The battery-powered angle polisher WP/A including suitable accessories come safely packaged in a practical, attractive and super-sturdy plastic case made of high-quality PP. A product label on the side of the box clearly marks its contents. Including accessories as described above, but without battery and rapid charger. Packaged in cardboard box. High-quality 10.8V lithium-ion battery with 2.6Ah for a performance comparable to that of our corded tools. One battery charge will hold up at least 30 minutes even at maximum power use. No other cordless machine in this power class will do more! Gear heads of die-cast aluminium. Main housing of glass-fibre reinforced POLYAMIDE with soft component in grip area. All tools with special and balanced DC-motor. Powerful, quiet and long-lasting. Six power tools - one system! Charges the Li/A battery in one hour. With integrated temperature control. LED status indicator: Yellow = charging, Green = charged. Input 100 - 240V. 50/60Hz. Output 12.6V, 2A. Weight 340g. The persistent power source for now six different MICROMOT battery-powered tools. With integrated temperature control. 10.8V. 2.6Ah. Length 85mm. Weight 180g. For use with polishing sponge, lambswool polishing disc, felt disc, sanding discs and sanding fleece. With hook and loop fastening. Ø 50mm. Of high quality, dense lambswool for polishing scratch-proof paints. With hook and loop fastening. Ø 50mm. For polishing metals (e.g. stainless steel, brass and copper). With hook and loop fastening. Ø 50mm. Of silicon carbide. For adding finishing touches to paint or removing varnish runs and inclusions. With hook and loop fastening. Ø 50mm. For final cleaning of polished surfaces. Finely meshed and without seam. 20 x 20cm. 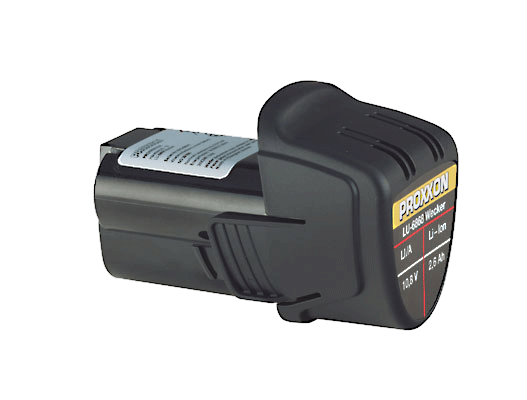 Click the button below to add the PROXXON Battery-powered angle polisher WP/A to your wish list.